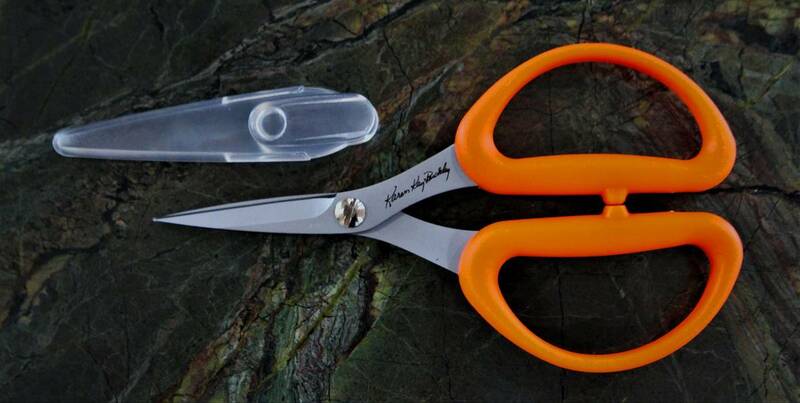 Karen Kay Buckley's Multi-Purpose Perfect Scissors is a straight blade, stainless steel scissors perfect for both right- and left-handed use when doing precision and detail cutting such as cutting templates (freezer paper, Templar), fabric, and fabric with fusible stabilizers. 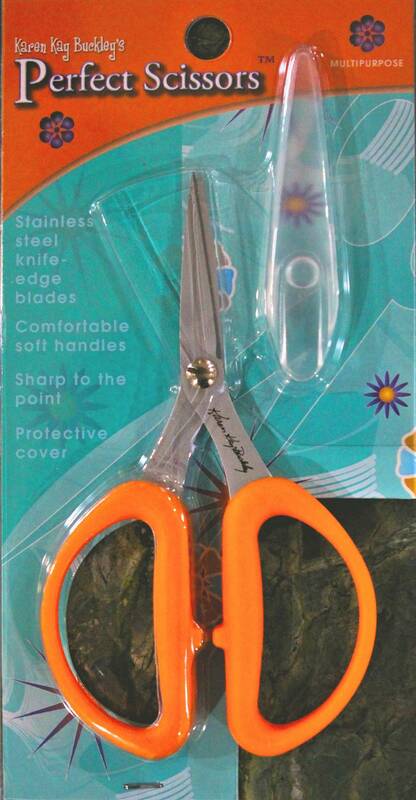 Straight blade scissors perfect for cutting templates (freezer paper, Templar) fabric and fabric with fusible stabilizers. The blades are stainless steel. The handle has a soft, ergonomic grip. They cut sharp to the point and come with a plastic cover. Great for both right and left handed cutting. The blade size is approximately 1-3/4 inches long, making these scissors an excellent size for precision and detail cutting.